Announcing the 2nd Edition of DCD > Awards | Best in India, scheduled to take place on July 18, 2019. Last year was great for Indian companies with entries from 8 companies taking 6 places in the Finalists Round of the DCD>Awards|Asia Pacific 2018, and we're sure 2019 will only exceed our expectations. The Awards ceremony and party will take place as a key feature of DCD>Webscale| Bangalore 2019, as part of a unique event series that provides worldwide recognition to outstanding individuals, teams and projects - all to be held over an unforgettable evening at the DCD Best in India Awards party. 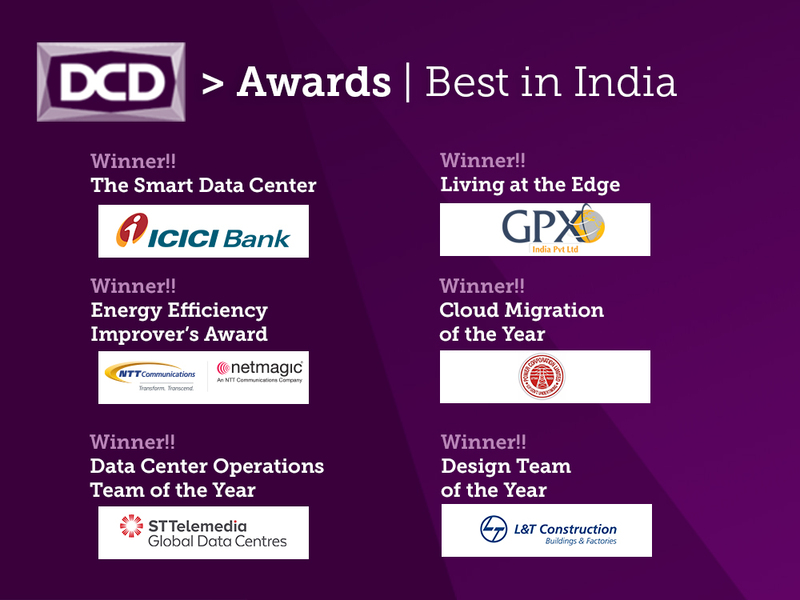 Join us at DCD>Webscale | Bangalore 2019 for our 2nd Annual DCD Best in India Awards to celebrate achievements in the local industry.